Recently it has been shown that the complexity of SU(n) operator is determined by the geodesic length in a bi-invariant Finsler geometry, which is constrained by some symmetries of quantum field theory. It is based on three axioms and one assumption regarding the complexity in continuous systems. By relaxing one axiom and an assumption, we find that the complexity formula is naturally generalized to the Schatten p-norm type. We also clarify the relation between our complexity and other works. First, we show that our results in a bi-invariant geometry are consistent with the ones in a right-invariant geometry such as k-local geometry. Here, a careful analysis of the sectional curvature is crucial. Second, we show that our complexity can concretely realize the conjectured pattern of the time-evolution of the complexity: the linear growth up to saturation time. The saturation time can be estimated by the relation between the topology and curvature of SU(n) groups. S. Aaronson, The Complexity of Quantum States and Transformations: From Quantum Money to Black Holes, arXiv:1607.05256 [INSPIRE]. D. Harlow and P. Hayden, Quantum Computation vs. Firewalls, JHEP 06 (2013) 085 [arXiv:1301.4504] [INSPIRE]. S. Chapman, H. Marrochio and R.C. Myers, Holographic complexity in Vaidya spacetimes. 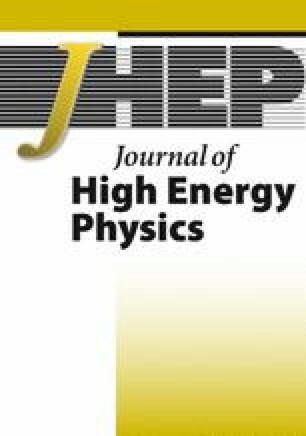 Part I, JHEP 06 (2018) 046 [arXiv:1804.07410] [INSPIRE]. S. Chapman, H. Marrochio and R.C. Myers, Holographic complexity in Vaidya spacetimes. Part II, JHEP 06 (2018) 114 [arXiv:1805.07262] [INSPIRE]. L. Susskind and Y. Zhao, Switchbacks and the Bridge to Nowhere, arXiv:1408.2823 [INSPIRE]. P. Caputa and J.M. Magan, Quantum Computation as Gravity, arXiv:1807.04422 [INSPIRE]. M. Flory and N. Miekley, Complexity change under conformal transformations in AdS 3 /CFT 2, arXiv:1806.08376 [INSPIRE].